Ok, I get it. You don’t want to hear about a long-winded dissertation on domestic Pinot Noir rosé. It isn’t really a serious wine, you say, and rarely reviewed and scored in the wine press. But, picture yourself sitting at your home patio when it is 95º F outside, and you are thinking about a refreshing drink. Sure, you could reach for a cold beer and no one would dispute that choice, but if you want wine, are you going to reach for a 14.5%+ alcohol Pinot Noir at 63ºF or a nicely chilled 13.5% Pinot Noir Rosé at 52ºF? That said, Pinot Noir rosé is not just for hot weather. 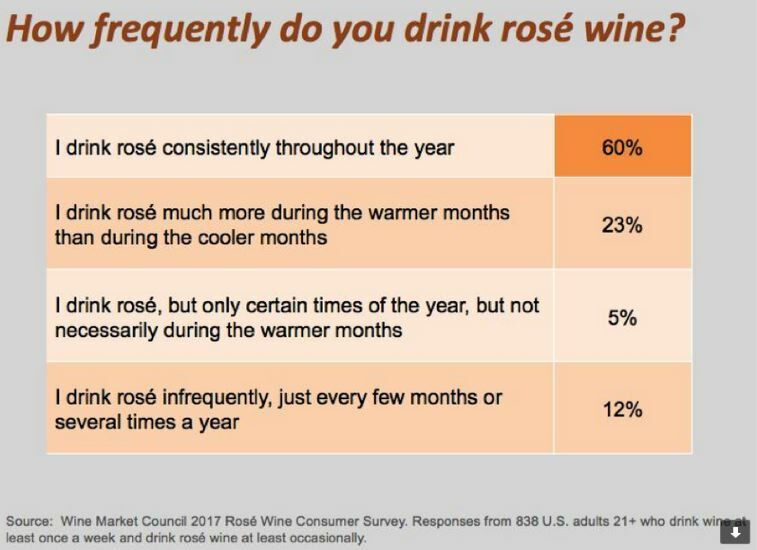 According to a report from Nielsen in 2017, rosé wine of all types only represents 1.5% of the total table wine category, yet it is growing in popularity at a rate of an 53% increase in volume sales over the previous year compared to the overall table wine category that is growing at 4%. Younger woman are particularly attracted to rosés, but its appeal is spreading across both sexes. Let’s be honest. Pinot Noir rosé is an eligible, unadorned wine that is easy to like. Do not consider it a singular wine for It comes in a wide diversity of styles. 1 The palate of colors of Pinot Noir rosé is glorious, ranging from delicate apricot to pink to bright red rose. 2 Rosé wine can be made from any red grape variety, but Pinot Noir has enjoyed more widespread use in California and Oregon due to its current popularity. 3 Most domestic Pinot Noir rosés are produced by lightly crushing the grapes, chilling them, and cold macerating them for up to 48 hours. The juice is drained off and fermented in stainless steel in a manner similar to the production of white wine. A second method, or saignée, eliminates the cold soak. After the crushed grapes are put into a fermentation tank, the color is checked periodically and the free-run juice is drained or bled off to finish fermentation in a separate tank. There is usually little to no residual sugar in either case. Neutral oak may also be used in the production process. 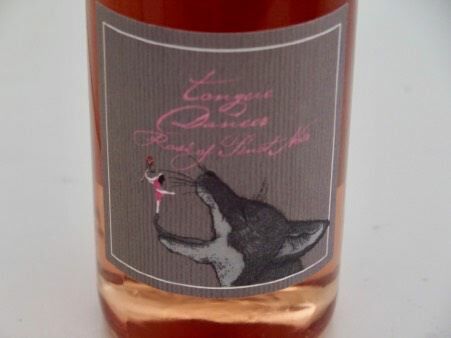 Rosé production is largely winemaker-driven leading to a diverse stylistic interpretation. 4 The best Pinot Noir rosés are those made from grapes purposely grown for rosé production and there is serious intent to make a fine wine. 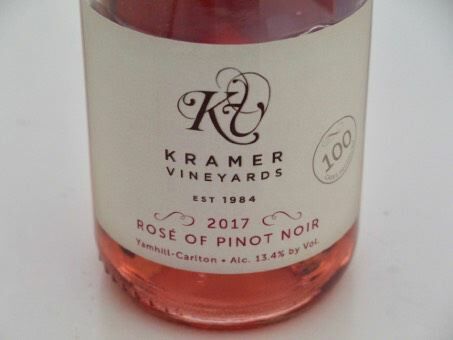 5 Since Pinot Noir rosé sells for significantly less than still Pinot Noir, and because Pinot Noir grapes are expensive and thus are not a profitable bottling, most wineries only produce around a hundred cases annually. They often sell out by early May. Expect to pay around $22 although the best examples can exceed this amount. Most often, the wines are bottled with screw caps making them ideal picnic companions. 6 Retailers such as markets only carry a limited number of domestic Pinot Noir rosés because tiny production limits distribution. The best way to acquire distinctive Pinot Noir rosé wines is directly through your favorite Pinot Noir producers. Pay attention to the vintage on the label when you visit markets and other retailers, since those sellers may be still stocking bottles of rosé wine that are a year or even two years old. 7 Pinot Noir rosé wines are usually released in the spring following the previous vintage and meant to be drunk when fresh in the spring or summer of the year of purchase. 8 When you are dining out, Pinot Noir rosé will often offer the best price-quality ratio on the wine list and will compliment many of the foods that you and your co-diners are enjoying. Pinot Noir rosé is simply one of the world’s most versatile food companions. 9 The flavors of Pinot Noir rosé can vary greatly depending on the amount of skin contact, but generally, you will discover blood orange, strawberry, peach, watermelon, herbs and spice. I have found considerable nuance in Pinot Noir rosé if you look for it, but these are not wines to contemplate. With essentially no fruit (skin) or oak tannin, the wines go down easily. 10 Pinot Noir rosé must be chilled for best enjoyment as is recommended for sparkling wine, and even using ice cubes like the French do is not out of the question. 11 Domestic Pinot Noir rosés are vinified in a wide variety of styles, varying from delicately fruited and tinted, to moderately extracted and darker colored. They may be bone dry or contain some residual sugar (RS). 12 Rosé wines come in all shapes of bottles, even square. They are also often available in magnum or double magnum format making them an inexpensive, but impressively generous offering, at parties. 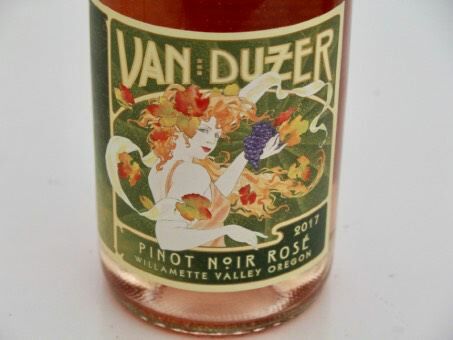 A few domestic Pinot Noir rosé wines from Oregon and California are reviewed as well as two popular French rosé wines (not made from Pinot Noir) that are in widespread retail distribution. Domestic versions usually have more fruit aroma and fruit expression and higher ABV. Pinot Noir Rosé wines are not often submitted for review because the Pinot cognoscenti know to buy these bargain wines each year and reviews are not usually required by wineries to generate sales. Remember, my scores are relative to other rosé wines and not comparable to regular Pinot Noir wines. One interesting observation. I re-tasted the Oregon Pinot Noir rosé wines at room temperature (about 65ºF) the following day after they had been opened and re-closed. I was surprised that I thoroughly enjoyed all the wines and some of them were actually better when tasted chilled the day before. My point is, you can drink good examples of Pinot Noir rosé at a cool, but not chilled temperature, and you could even decant the more robust examples (gasp!). Note: The Alma de Cattleya wines are value-priced offerings (less than $25) complimenting the premium Cattleya wines. The Alma de Cattleya label website should be “live” by the end of May. To order now, visit the Cattleya website at www.cattleyawines.com. 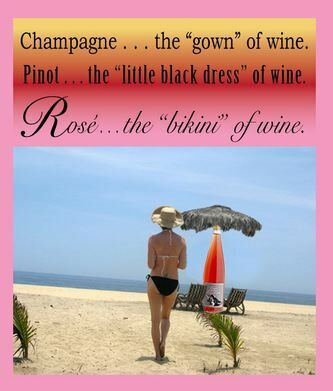 You can find out about all wines winemaker Bibiana Gonzales Rave is involved with at www.bibianagrp.com. She was named the 2015 “Winemaker of the Year” by the San Francisco Chronicle. The 2017 vintage was different than the preceding warm five years, being reminiscent of the 2010 and 2011 vintages. Winter was cold with snow extending into a cool spring and delaying bud break by a few weeks into April and bloom following in late June. Summer was dry and warm, but there were grey skies from fires in the north and east. The Willamette Valley was spared any effect from the smoke. There were some stretches of extreme heat in late July and early August which threatened sunburn damage, although the grey skies from the fires ameliorated this to some degree. Set was large, so judicious fruit thinning was necessary to maintain quality. Rains arrived in mid-September which slowed ripening. 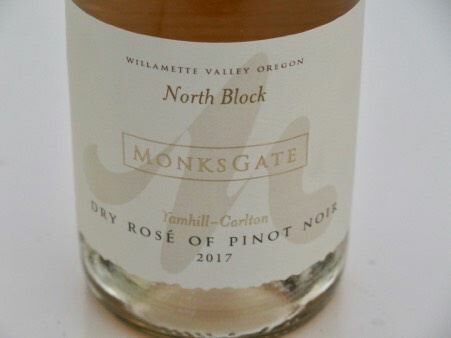 I was surprised to find that several of the Pinot Noir rosé wines had significant depth of color, noticeably bold fruit concentration and relative high alcohol. If you closed your eyes and tasted the wine blind, you would think you were drinking a traditional Pinot Noir wine rather than a Pinot Noir rosé. The color of the wines was a giveaway as to the character of the wine in the bottle. Darker colored wines tended to be riper, more fruit driven, with more body and slightly less acidity. The lighter colored wines were more restrained, more savory, with more refreshing acidity, and more affinity to the popular Provence style of rosé. This is the style of rosé I prefer and my scores reflect this. Experience Rosé (formerly Rosé Today) is a promoter of experiences to people who like rosé. Two new consumer events will be held in June and October. On Saturday, June 16, 2018, The Great Rosé Pairing for Summer will take place at The CIA at Copia in Napa. Attendees will be able to sample wines from the Experience Rosé: The 2018 Competition held in April. Gourmet foods will be paired with rosé wines from California, France, Italy and Spain. On Friday, October 19, The Great Rosé Pairing for Thanksgiving will feature rosé wines produced in the Hopland and Redwood Valley regions of Mendocino County. Held at the Jaxon Keyes Winery, a selection of seasonally-inspired bites will be paired with rosé wines suitable for holiday dinners and celebrations. To obtain further information or to purchase tickets visit wwww.experiencerose.com. Legendary Rosé Cruise Returns to New York La Nuit En Rosé will be held May 18 and 19, 2018 on the Hudson River aboard the Hornblower Infinity yacht. The even features 100+ rosé wines from around the world, a two-hour cruise, snacks, VIP lounge and live entertainment. More information and tickets at www.nuitrose.com. National Rosé Day is Saturday, June 9, 2018.For events: https://www.roseallday.com/event-calendar/nationalrose- day-2018.